Back in January Sony debuted its new gaming handheld during an event in Tokyo. At that time Sony brought its new portable gaming system as NGP, or “Next Generation Portable” without giving too much information. They showed its 3G connectivity but didn’t mention carriers that it would compatible with it, price was not mentioned during that event as well. Well, today at the E3 event in Los Angeles Sony announced that handheld with new name and more information. Sony reintroduced its new portable as “PlayStation Vita” with a pricing of $249 for WiFi only model and $299 for the 3G model. The 3G model is exclusive to AT&T’s 3G network only, not Verizon or other carriers. We will have to wait until someone hack it and unlock it. 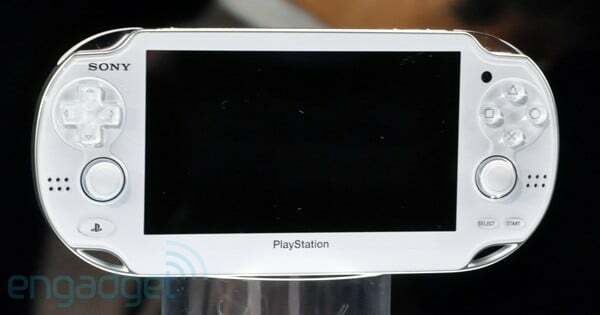 Sony currently has demonstrated it in two colors black and white. So wtf does “Vita” means? “Vita means life” said Sony Computer Entertainment Kazuo Hirai, adding that the Vita will “blur the lines” between entertainment and real life, allowing you to connect and interact like never before. Wacky name, NGP sounds a lot better.